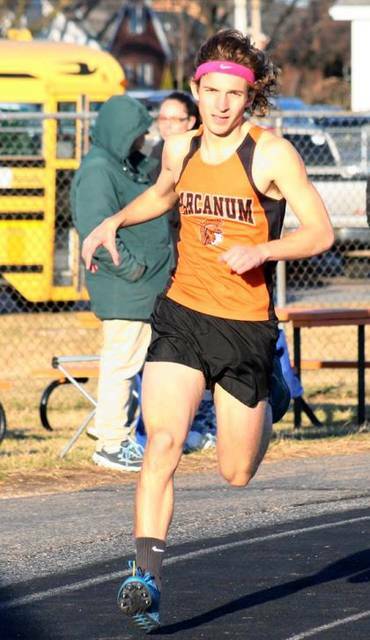 ARCANUM – Several Darke County high school track teams opened their season on Monday at Arcanum High School. The Trojans welcomed teams from Tri-Village, Newton, Franklin Monroe and Bradford. It was a great meet for the home team as they swept the meet finishing first in the men’s and women’s team events. The Arcanum men topped Newton by earning 113 points to the Indians’ 101 points. Tri-Village finished a distant third following by Bradford and Franklin Monroe. On the women’s side, the Lady Trojans finished atop the field with 87.50 points to the Lady Patriots 78 points. Newton finished third with Franklin Monroe and Bradford rounding out the field. Find a complete list of results at www.earlybirdpaper.com. Reach Ryan Berry at rberry@aimmediamidwest.com or (937) 548-3330.